In Tennessee, one elector was nominated for both the Democratic and State's Rights electoral slates. Chosen as part of the Democratic slate, he, nevertheless cast his electoral votes for Thurmond and Wright. 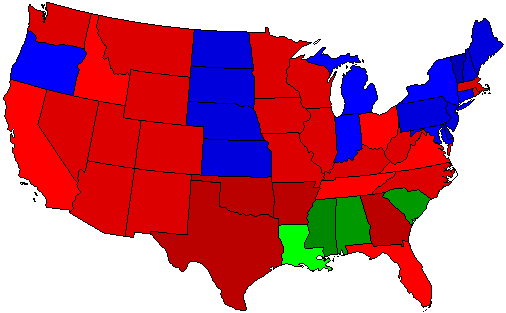 Electoral Vote Map Note: there is no implied geographical significance as to the location of the shaded areas for Tennessee's split electoral votes.